Prefer to get an immediate online quote now? Get the lowest auto insurance rate now by submitting a fast and easy online quote. 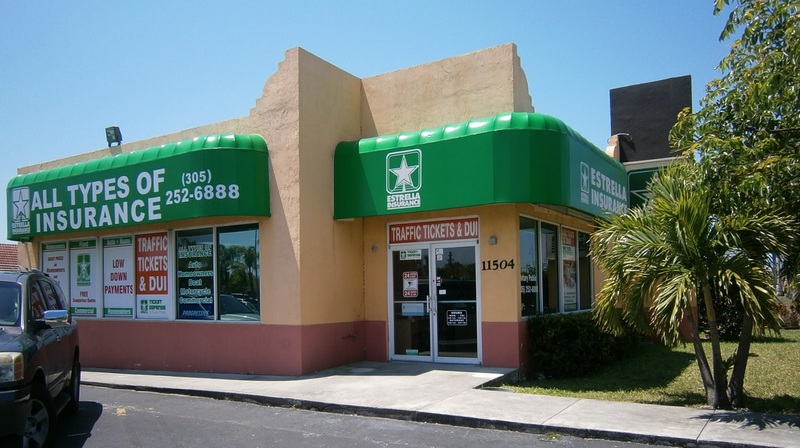 Welcome to Estrella Insurance located on Quail Roost Drive and SW 115 Avenue. We provide all insurance needs for a diversified client base in South Miami Heights; Miami, FL. Our team can help you get a free quote for Auto Insurance or Commercial Insurance. We can also help you with Homeowners, Boat and Motorcycle Insurance. Our staff will help you quickly and efficiently. Bienvenido a Estrella Insurance localizado en Quail Roost Drive y la SW 115 Avenida. Ofrecemos diferentes tipos de seguro para su Auto, Barco, Casa y Motocicleta en South Miami Heights; Miami, FL. Tambien hacemos Seguros Comerciales para su negocio con precios muy competitivos. Nuestros empleados con mucho gusto le ayudaran a obtener un presupuesto gratis para su seguro en una forma rápida, eficiente y profesional.